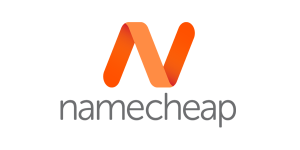 Namecheap announced in December last year that they will be using their direct ICANN registrar accreditation for all new domain registrations, renewals and transfers. Today they start transferring all existing Namecheap-managed domain registrations from Enom’s sponsorship to their own credential. This is a goal that they have been working towards for many years, and Namecheap is delighted to finally be able to achieve this. We plan to migrate all .COM/.NET domains from Enom/Tucows to Namecheap from January 8th to January 12th, 2018. This is an automatic transition and you won’t need to do anything. This migration will apply to .COM/.NET domains registered before January 2017 or transferred to us before November 2017. Your domain expiration date, nameservers and all other settings will remain exactly as they’re currently configured. All other Verisign and ICANN domain transfer rules and policies applicable to your registrations will remain unchanged. As before, you’ll be able to manage your Namecheap domain(s) via the Account Panel after the migration takes place. But some of the functionality within the Account Panel may be limited / not available during the migration itself. If you have any questions before or during the migration, please contact our Customer Support Team via Live Chat and the ticket system. How do they transfer between registrars and domains doesn’t get renewed for additional year? It is an ICANN approved transfer for bulk transfers between registrars. I thought they only do it for registrars shutting down, is there a clear policy for such transfers? Like the volume or registry specific policy? Because your post only says verisign’s what about other gTLDs such as PIR or Afilias etc..? I would be more impressed if they re-wrote the portal and actually started to be competitive again. I moved 150 domains away from them and each time they asked me “why are you leaving, is there anything we can do” I told them before I started moving the domains that I got more compettive pricing elsewhere and free WHOIS, but they were not interested in competing. I have a handful of domains left with them on TLD’s on which they are competitive, to be honest after using their portal for a few years I am so glad I am done with them. With eNom behind them I always felt a bit more secure, can’t say I am over confident in them taking it in house as I find their staff are over starched, make lots of apologies but no action. Still I wish them luck as we need competition and anyone who is not GoDaddy is a good thing!